Subscribe to For Girls Like You Magazine today! Click here to get started! 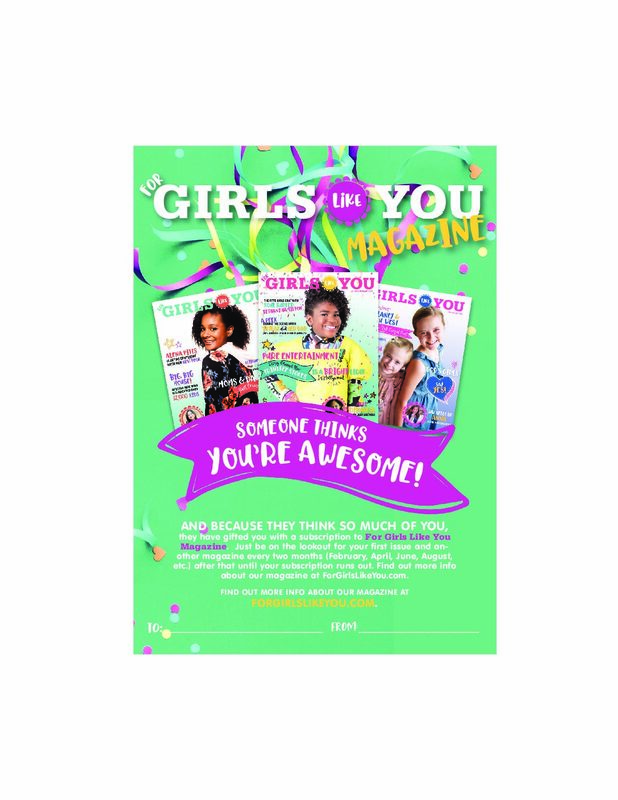 For Girls Like you is printed bi-monthly (6 Issues per subscription) and designed for girls age 6-12! 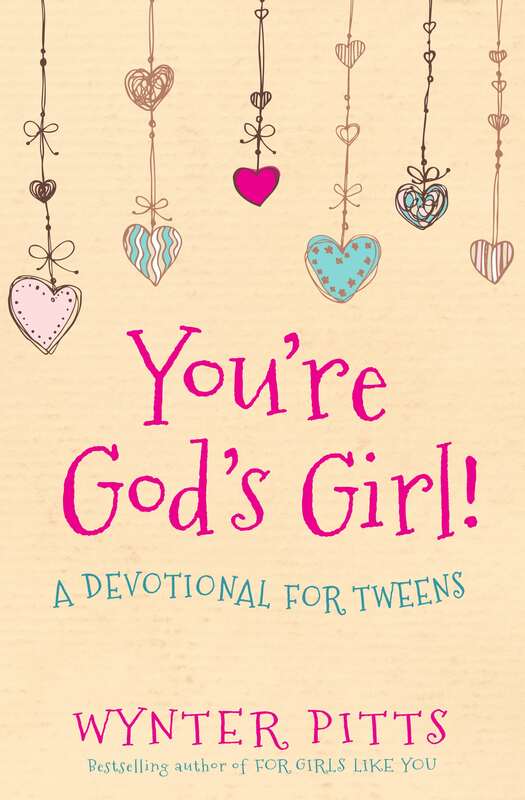 Each issue is full of fun articles, features and photos designed to reaffirm and grow girls in the love of Christ! Unbelievalbly awesome, relevant, and uplifting content! I was so excited for this magazine, as I have three daughtes 10,4, and 2 . I cannot wait to share with the younger ones. The oldest and I read the devotional together and “swooned” over the magazine. Blessed material, for sure! I follow Proverbs 31 ministry all the way from the Fiji Island sand the first time i read about the Pitts was when Jonathan Pitts shred online about the book they wrote together called Emptied which was handed in literally the eve of her departure to glory. I was struck with grief and sadness at their story of love and it has driven me to pray for Jonathan Pitts and their children Alena Kaitlyn , Olivia and Camryn since then. The body of Christ reaching out across the miles is testament of the living legacy we have with Christ. I am excited to get my hands on Wynter’s creative writing through these resources. Subscribe to For Girls Like You Magazine!